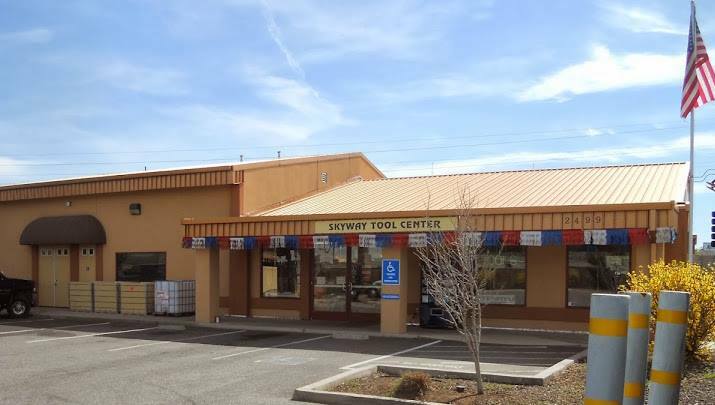 We have been selling automotive specialty tools since 1986 in our store in Chico, California and we have been selling tools online since 1995. We guarantee you will be happy with the products we supply to you, with the friendliness of our staff, and with our shipping or your money back. When you purchase from SkywayTools.com you will receive a confirmation email within minutes. You can pay securely online with a MasterCard, Visa, American Express or Discover credit card, with Paypal, a Money Order or by calling our office during regular business hours. We have a friendly staff just waiting to help you, so call 1-888-886-6577 from within the United States to speak to one of our service representatives. We are a family owned and operated business. The primaries are Doug Gillis, owner and buyer, and Sherry Gillis, owner and webmaster. Our Internet Coordinator is Vickie - you can call her specifically Monday through Friday. We will do everything we can to get your order out as quickly as possible and we will do our best to ensure that you have a good experience with our store. Call our store during business hours, M-F 8am to 5pm, Sat 10am to 5pm PST, at 1-888-886-6577 and we'll help you find what you need to get your project completed. We have thousands of tools in our store and we have hundreds of catalogs in which we can locate those hard to find specialty tools you need. Call us today!